Every organization understands the importance of Exchange Server in their business. 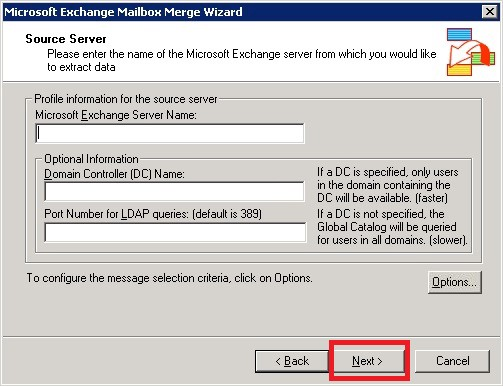 Exchange Server is an email server deployed on Windows Server. 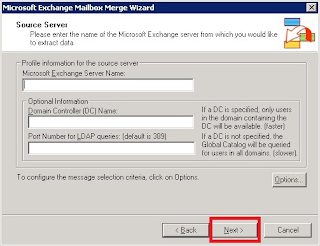 The data in Exchange Server is stored in the form of EDB file. And, these files are accessible only on Exchange Server. 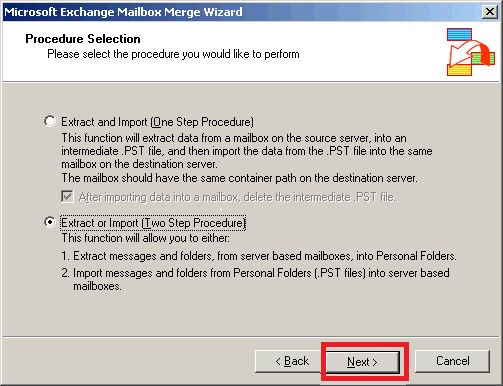 But in some situations, users need to export their EDB mailboxes to PST format. Here, we’ll talk about a unique approach to convert EDB file to PST. But, before proceeding to the method, let’s look at the reasons to convert EDB file to PST format. 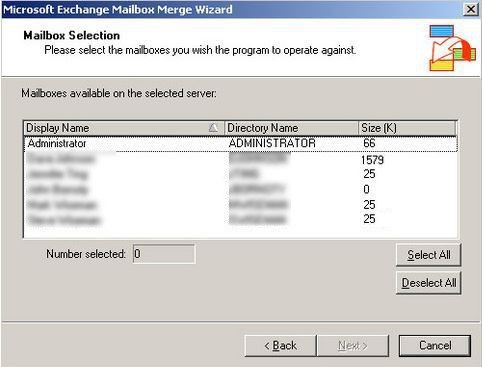 •	Access to EDB files without connecting to the Exchange Server. •	To access mailboxes when Exchange is down and will take a long time to reestablish connectivity. •	When Exchange Server fails to perform any task on EDB files due to corruption. •	To migrate data from Exchange Server to MS Outlook. •	When users want to move mailbox data from one place to other. How to Export EDB File to PST? 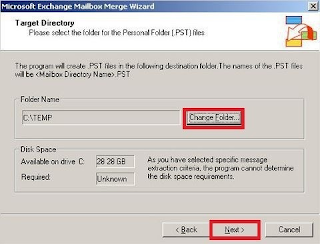 There are two possible ways to export EDB file to PST. Here, we will be discussing the first and fourth methods. 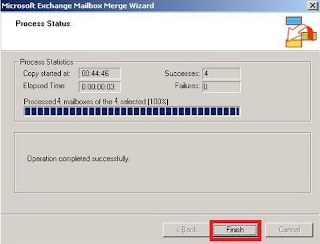 The first method in exporting EDB file to PST is using ExMerge utility. It is a free conversion tool from Microsoft that can easily export EDB file data to PST. Also, it extracts data from Exchange Server mailboxes and then merges it into another Exchange Server mailboxes. 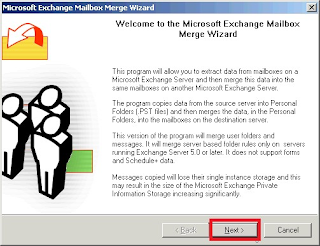 Now, let’s see how to use ExMerge utility to export EDB file to PST. 1. Download the ExMerge utility from below link if you haven’t downloaded it yet. 2. Install it on your system and run it as administrator. 3. On launching the tool, the welcome screen will appear on the screen. Click "Next" to proceed further. 4. A new dialog box will appear on the screen with two different options. Select "Extract or Import (Two-step procedure)" and click "Next" to continue. 5. 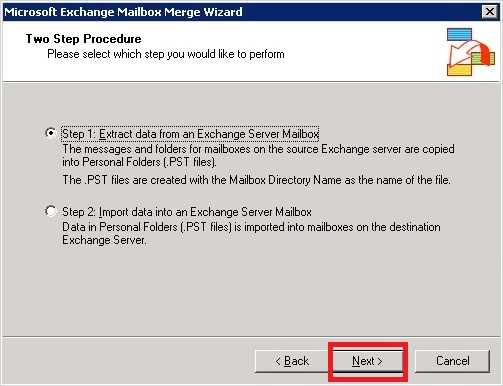 In the next step, select "Extract data from an Exchange Server mailbox" and click "Next". 6. 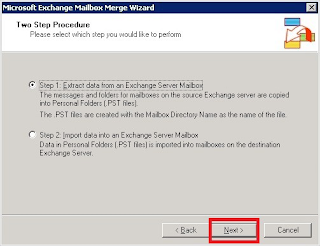 Now, enter the credentials for Exchange Server from where you want to extract data and click "Next" to continue. Note: You can also configure message selection criteria by clicking "Options". 7. 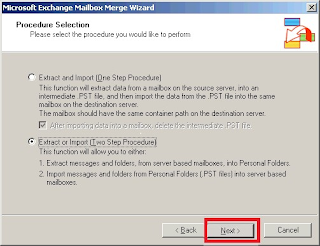 Select the mailboxes that you want to export from the Mailbox Selection dialogue box. You can select all mailboxes with "Select All" option. Click "Next" after selecting the mailboxes. 8. Now, select a location where you want to save the converted files. Click "Next" to start the export process. 9. The export process will take some time depending on the size of the mailboxes. Meanwhile, you can see the export progress on the screen. Once the process is complete, click "Finish" to end the process. Although ExMerge is an effective tool to export EDB files to PST, there are some limitations of using this tool. To overcome the limitations of ExMerge, you can try professional EDB to PST conversion tools like Kernel for Exchange Server.